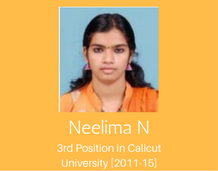 As per the toppers list from Calicut University 2015 passed-out CE BTech, Neelima N secured 3rd position. 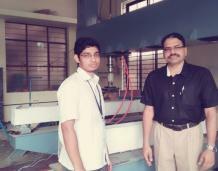 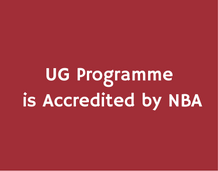 Mr. Naveen Radhakrishnan (CE 2010-14 Batch) secured Gold Medal in M.Tech Environmental Engineering from Delhi Technological University in 2016. 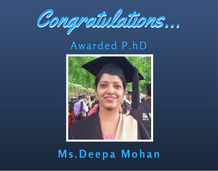 Ms. Deepa Mohan awarded Ph.D for NIT Calicut in the 12 th Convocation of National Institute of Technology Calicut 4.00 PM, Saturday, 15 October 2016.